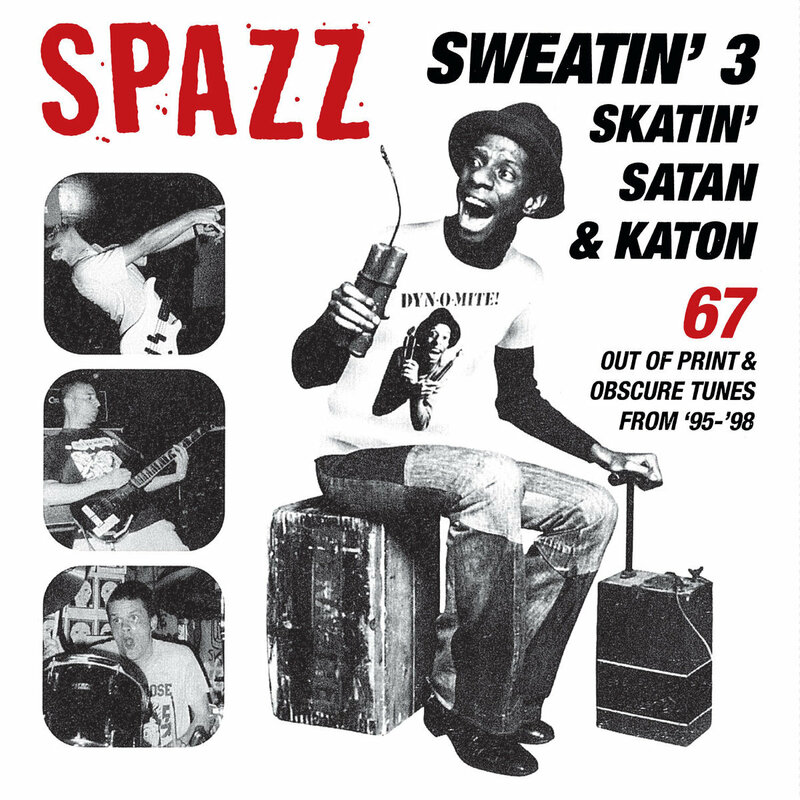 "Sweatin&apos; 3: Skatin&apos;, Satan & Katon" CD - 67 tracks from 1995-1998 compiled from splits with 25 Ta Life, Lack of Interest, Hirax, Black Army Jacket, Gob and more plus the “Tastin’ Spoon” EP and tracks from a bunch of comps including “Short Music for Short People” and the original motion picture soundtrack for Gummo. Everything remastered, or in some cases mastered for the first time by Dan Randall at Mammoth Sound. Originally released on Slap A Ham Records in 2001 and out of print for 10 years.